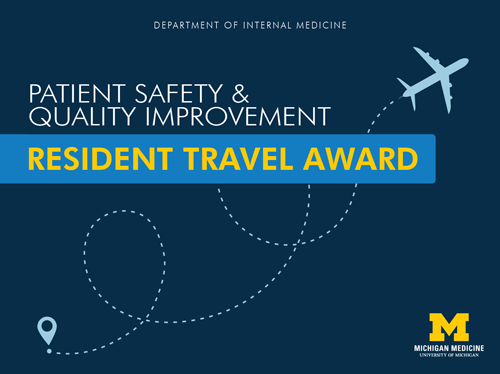 Residents who plan to present original clinical quality improvement work (usually in the form of an oral presentation or poster) at a regional, national, or international meeting may apply for a travel grant from the Department of Internal Medicine. Click here for the application. Rolling submission, awarded throughout the academic year. Residents in good standing in Internal Medicine or Med Peds PGY1, PGY2, PGY3, PGY4 are eligible to apply. Residents may receive this award once during their residency program. Award recipients will be selected based on (1) the relevance and significance of the project to improving quality in clinical care, and (2) evidence of the awardee’s commitment and future plans to incorporate quality improvement in their career. The project must meet the requirements for a Quality Improvement project (see application). This award is not for basic science research, clinical research, participation on panels, training, or workshops. The project must have been conducted at Michigan Medicine, its affiliates, or VAMC while a resident in the Department of Internal Medicine. The conference must be appropriate to the intended audience of the poster, and supported by the faculty mentor and department. If faculty mentor funds are available, those should be applied first. The resident must be the primary presenter (e.g. lead author on poster). Only one award per presentation (i.e. if co-presenting, only one person is eligible). The maximum award in grant funds is $2,000. If expenses exceed the maximum grant allowance, the awardee is responsible for the difference. The department reserves the right to award less than the maximum. Eligible expenses include conference registration, transportation costs, lodging, and meals, per University guidelines. Funds can be used in advance of travel and the department will assist in coordination of reservations. Supporting documentation for expenses that are not provided in advance must be submitted no later than 45 days after travel occurs.  You may apply for this award before submitting to the conference; however, you must submit confirmation of acceptance prior to receiving the funds. If your poster/abstract is not accepted, your award will be placed on a hold status. You may keep the award on hold while you submit the same project to other conferences. Your funds will be activated when a conference acceptance is received. Any funds on hold expire at the end of your residency program. The Department may request that you present your work at internal venues, such as the quarterly Quality Council meeting. To apply for funding, submit the below materials to Nathan Houchens, MD, Director of the Patient Safety and Quality Improvement Program and Assistant Director of the Internal Medicine Residency Program. Your application (see page 2). A copy of the abstract or poster that you submitted. A brief letter of support from your faculty mentor for the project. A personal statement (400 words or less) outlining your interest in quality improvement and how you will benefit from attending this conference.